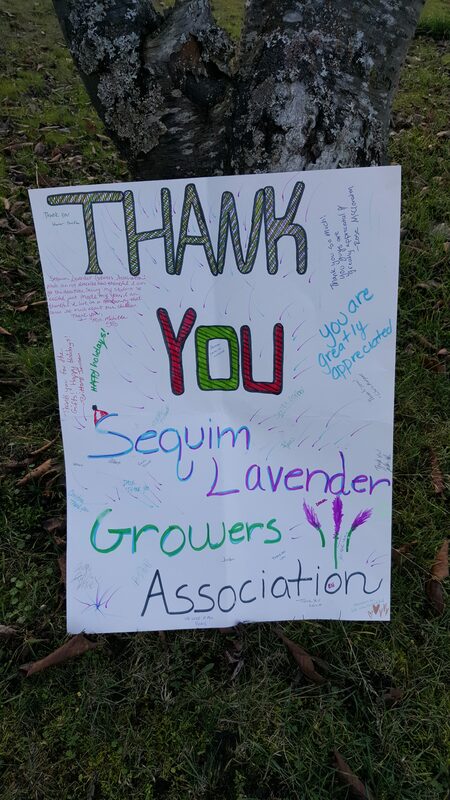 The Sequim Lavender Growers Association continues their mission to give back to the community by donating $200 toward a Christmas project for kids. The Sequim Option School students at Sequim High School received ‘stuffed’ Christmas Stockings made by the Sunbonnet Sue Quilt Club. The $200 went toward the purchased of personal care items, a puzzle and each stocking got a $15 Walmart Gift card! 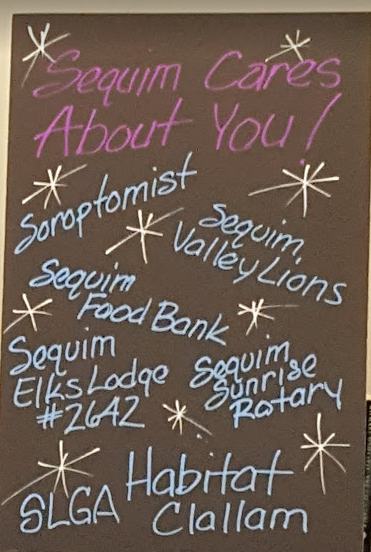 The Sequim Lavender Growers Association was one of 7 organizations to donate to this project (see picture left). The students sent a lovely THANK YOU card to SLGA for their donation. ← 15th Annual Lavender Holiday Bazaar – Huge Success!